The project involved the rejuvenation of the densely populated Brownfields housing estate in London to create a safer and nicer environment for the local residents. The total project value was £3.5m, to be delivered over two phases. Blakedown Landscapes carried out the design work on behalf of social housing landlords Poplar HARCA (Housing and Regeneration Community Association) who own and manage around 9,000 home in London. Regeneration work included creating new frontages to houses by building brick walls and railings with gates, new play areas, roads, street furniture and lighting. 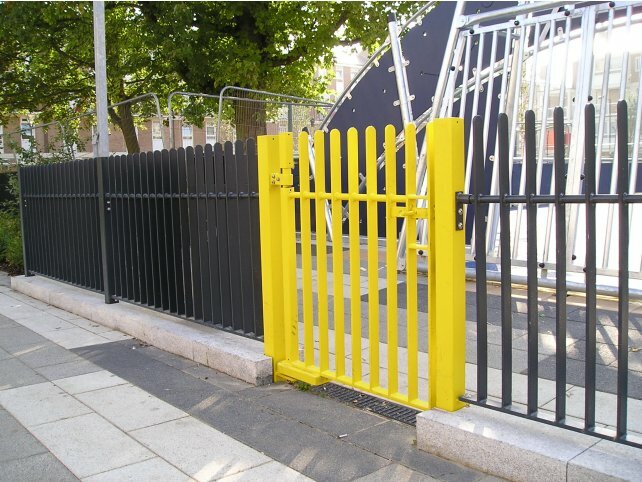 Alpha Rail helped develop the proposed designs and offered advice on the type of metal railing solutions that would be best suited to withstand the testing environment and meet the visual requirements specified in the tender. 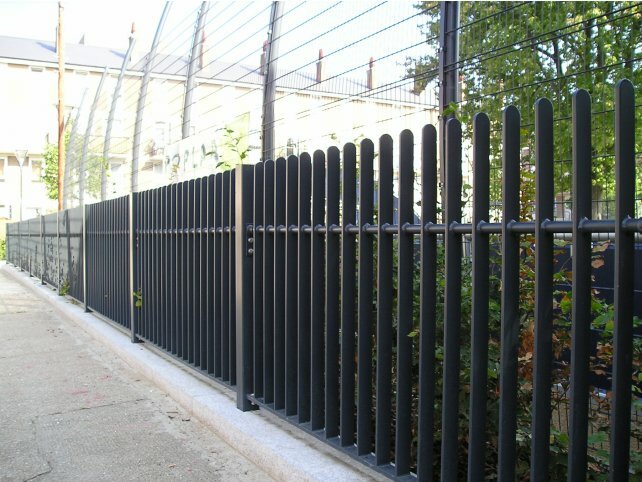 The materials provided over two phases include over 1km of galvanised metal flat bar infilled railings of various heights. The majority of the railings supplied were wall mounted with other sections set into concrete foundations. To complement the railings over 100 single leaf gates were manufactured each with a laser profiled house number plate to prominently display the individual property address. Phase 1 has been operation for over a year with no issues and residents are very happy because they have safer frontages to their properties.